This is the electric version of the famous X-Model. the Blade E has a fuselage canopy which gives easy access to the battery. The motor is installed after glueing on the provided motor mount on the nose of the fuselage which is ready cut. This can be either a light glider able to thermal and fly anywhere by mounting a 150 to 200 watt motor with a 2s lipo or as a small hotliner with powerfull Mini Cyclon Elite Punch with a 3s Lipo able to offer the thrill of speed and tight turns. Also an Axi 2217/12 brushless outrunner with a Jeti Advance 30sp ESC and a Li-pol 3s battery for a very fast performance. 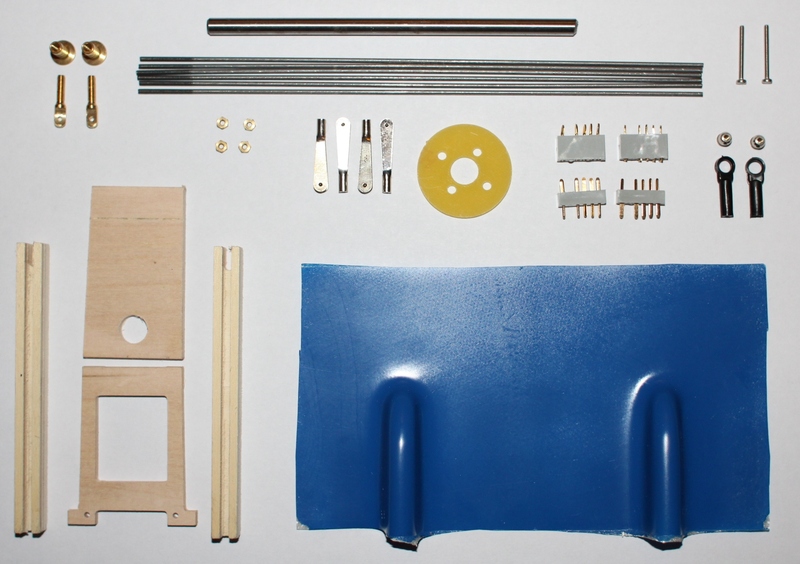 1 x motor mount, 2 x carbon tubes for V tail, 1 x steel wing joiner, 4 x wooden frames, 6 x m2 metal threaded push rods, 4 x m2 clevises,4 x m2 metal nuts, 2 x m2 nylon uniball, 2 x m2 metal ball, 2 x female connectors, 2 x male connectors,2 x m3 brass bush,2 x m3 brass screw, 2 x m2 bolts, 1 x servo cover.